You do not have to read as far in the Old Testament to find Levitican rules about holiness and sacred space. The book is replete with them. God demands holiness from Israel, repeatedly commanding them to “be holy because I am holy” (Lev 11:44, 45; 19:2; 20:7, 26). But how do cleansing rituals for birthing practices and skin sores relate to holiness? In ancient Israel, people, objects and spaces could be judged holy or common. The tabernacle, for example, was sacred because it was God’s dwelling place; therefore, the people of Israel would undergo extensive cleansing rituals before bringing their sacrifices to the priests. God’s command to be holy extended as far as appropriate foods (Lev 11, 17), treatment for infections (13:1–46) and sexual practices (Lev 18). Something as minor as mold or mildew found on fabric had to be brought to the priest (13:47–59). While these were not matters of moral concern, they were of great spiritual importance. The rituals for approaching God were a means of reminding Israel that God was not common. 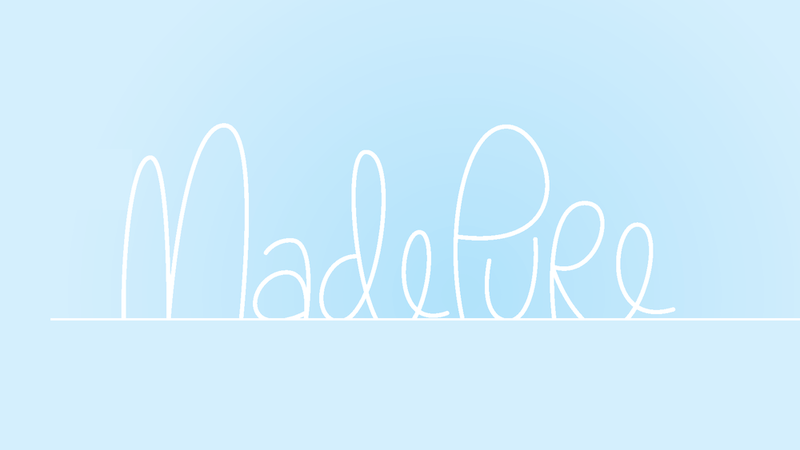 So how do we live as people who have been made holy through Christ? As God’s people, we are given guidelines throughout Scripture for how to treat others, how to use our words, and how to control our thoughts. Yet we do not do this on our own. God’s Spirit now dwells in us—we are His temple (2 Cor 6:16). And He performs this work in us so that we may live as disciples at all times and in all places. 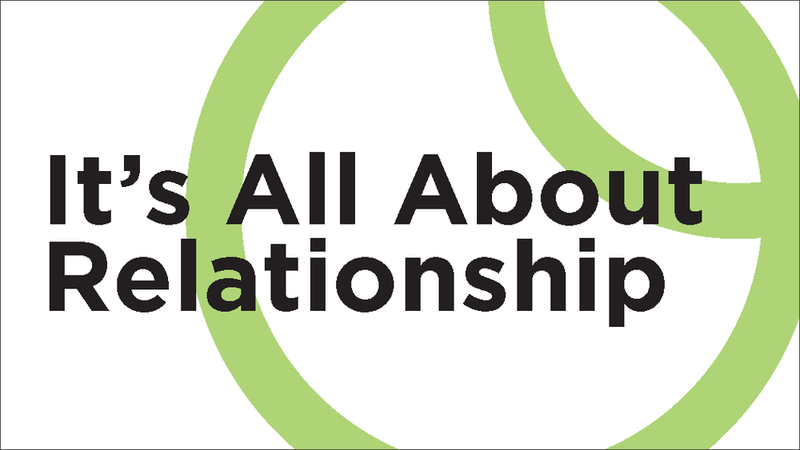 Over time, the relationship changes us, and we behave differently. But more important, Jesus transforms us into new creatures who reflect His holiness—no matter where we are. Biblical references are from the New English Translation (NET). 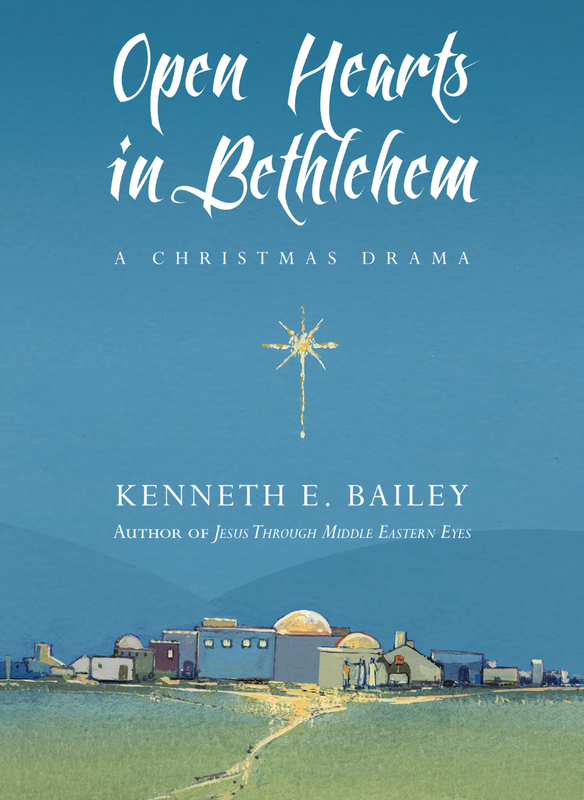 Kenneth Bailey is a scholar of the New Testament’s Middle Eastern cultural background; he has authored books including Jesus through Middle Eastern Eyes. In this four-scene play, he dramatizes Jesus’ birth in Bethlehem, correcting some popular misconceptions along the way. For example, this Christmas play does not include an innkeeper; Bailey believes that the word in Luke 2:7 traditionally translated “inn” is more properly rendered “guest room” (as it is in Mark 14:14; Luke 22:11). Also, animals at that time were often kept in a corner of the family room at night, so a manger was available within the house. Rather than being exiled to a stable, then, in this play Mary gives birth to Jesus in the family room of the place where she and Joseph had been staying with relatives. Open Hearts in Bethlehem features five original songs, which are written by David M. Bailey and available in a separate musical score and CD. The play can be performed in 45–50 minutes with music, or 25–30 minutes without. It is intended to be performed in a church hall or sanctuary, and it requires 12 actors: 10 adults and two children. It would be well-suited for churches that are open to a different, yet culturally informed take on the traditional Christmas story. The Greek god Zeus is notorious for wielding a lightning bolt to destroy his enemies. The image of the Jewish and Christian God doing the same is not found in the Bible. Yet Leviticus 10 records an event that is strikingly similar. The priests Nadab and Abihu, sons of Aaron the high priest, approach the altar of Yahweh to make an offering. Before they finish, a fire from Yahweh consumes them—not their sacrifice. This disturbing story comes at the end of a rare narrative section in Leviticus. Tucked between seven chapters on sacrificial law and nearly 16 chapters of laws about uncleanness, the narrative of Leviticus 8–10 describes the ordination of Aaron and his sons to the Israelite priesthood. Leviticus 8 and 9 are a step-by-step enactment of Yahweh’s directions to Moses in Exodus 28–29, including instructions for operation of the tabernacle and priestly ordination. The Leviticus narrative emphasizes that Moses and the newly ordained priests follow these instructions point by point—a fact reinforced by the refrain, “as the Lord commanded Moses” (Lev 8:4–36; 9:5–21). Likewise, the ordination process matches the detailed directions from Exodus 28–29. The reward for all this careful obedience arrives in Leviticus 9:24. After Aaron made the required offerings, “Fire came out from before the Lord and consumed the burnt offering and the pieces of fat on the altar, and when all the people saw it, they shouted and fell on their faces” (ESV). However, the people’s joy is short-lived. In the very next verse, Nadab and Abihu approach the altar with fire and incense in their censers and are promptly struck dead by fire from Yahweh. The text doesn’t specify exactly what these brothers did to merit an instant fiery death. The narrator simply says, “They offered strange fire before Yahweh, which he had not commanded them” (Lev 10:1). After two chapters of meticulous obedience, this last statement—“which he had not commanded them”—is jarring. The contrasting accounts in this passage are connected by a key parallel: In both events, “fire went out from Yahweh and consumed” (Lev 9:24; 10:2). The vastly differing endings demonstrate that there are right and wrong ways to approach Yahweh. 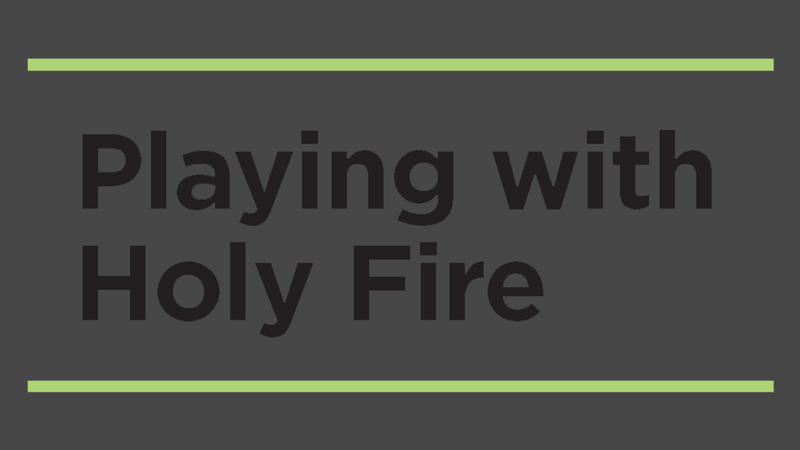 In the first account, the fire resulted from obedience to Yahweh’s commands; the Israelites looked on in joyful awe as fire from Yahweh completely consumed their sacrifice. In the second account, the fire resulted from disobedience; its outcome was death, as fire from Yahweh “consumed” the two sons of Aaron. The charred corpses of Nadab and Abihu, still adorned in priestly tunics, remained to be carried away (Lev 10:4–5). God’s consuming fire appears in other passages of the Bible. In Exodus 24:17, Yahweh’s presence atop Mount Sinai was “like a consuming fire.” In Deuteronomy, when Moses reminded the people about the events at Sinai, they were afraid God’s fire would destroy them. They implored Moses to go talk with God alone so they wouldn’t be consumed by His voice (Deut 5:25). God’s fire engulfed the members of Korah’s rebellion during the wilderness years when they inappropriately offered incense to God (Num 16:35). Centuries later, the author of Hebrews entreats us to “offer to God acceptable worship, with reverence and awe, for our God is a consuming fire” (Heb 12:28–29). Being in God’s presence is a fearful thing—especially if we approach Him with irreverence. Nadab and Abihu ignored the way God had created for sinful people to be in His holy presence. The message of Leviticus—and of the entire Bible—is that there is only one way. Through the life, death and resurrection of Jesus, God made the way for sinners to be in His holy presence now and forever. It is only when we come to Him through Christ that we can find forgiveness and acceptance, without fear. Unless otherwise noted biblical references were translated by the author. The kingdom of God is like a mustard seed. It is like a man going on a long journey. It is like a man who casts seed along the way. It is also like a goat that bears the iniquity of the people or a Passover lamb that is killed and eaten in a particular way. It is even like shaving your eyebrows when a rash breaks out on your bald head. The book of Leviticus challenges modern sensibilities because it is all about holiness. It is foreign to our everyday experience by definition. The dictionary tells us that holiness means being “set apart,” but that only tells us about the result, not the process. What does it mean to be holy as God is holy (Lev 11:44–45; 19:2; 20:26; 21:6–8)? Leviticus answers this question mainly by insisting that holiness is not unholiness—to be clean is to be not unclean. The quality of holiness remains elusive. It is better demonstrated than explained: Wash this way and wear these clothes at this time, kill these animals according to this procedure, wash these furnishings with this blood, burn these parts of this animal, but eat those—in this way, and no other. The rites and rituals are intentionally peculiar, because the point is to communicate the essential otherness of God. As such, the necessity of atonement looms large in Leviticus (for example, Lev 1:4; 4:20). God’s people lack the purity to withstand His holy presence. God is “of purer eyes than to see evil and cannot look at wrong” (Hab 1:13), but human beings are too evil to see God’s purity. Holiness and unholiness don’t mix, so one or the other must be changed. Since God cannot become dirty, humankind must be cleansed. The people of Israel were cleansed from unrighteousness through the blood of an innocent sacrifice. Forgiveness had to be purchased for an individual after each transgression of the law (Lev 4), and for the whole people once a year on the Day of Atonement (Lev 23:26–32). Yet this system was incomplete. The rites of Leviticus provided temporary relief from the symptoms of unrighteousness, but they were not a permanent cure. The book of Hebrews says that all the Old Testament means of holiness—the tabernacle, the ark, the sacrificial system, and the priesthood itself —are “but a shadow of the good things to come” (Heb 8–10, especially 8:5 and 10:1). Thus Leviticus is best understood as an extended example of foreshadowing. Foreshadowing anticipates events that will occur later in the story in order to heighten suspense: If there is a shadow, then something must be casting it. All things Levitical point to the coming, life, death and resurrection of Jesus the Messiah. Why a male without blemish? Because Jesus would live a sinless life and be sacrificed for the sins of His people (compare Lev 1:3, 10; 4:23; 22:19 with 2 Cor 5:21; 1 Pet 1:19; 2:22–24; 1 John 3:5; Heb 4:15; 9:14). Why does sprinkling with blood make things clean? Because Jesus’ shed blood makes all things clean. He is both priest and sacrifice, and pure through and through (compare Lev 4:6, 17; 5:9; 14:4–7 with Heb 9:11–22; 1 Pet 1:2). Indeed, while on earth, Jesus reverses Levitical uncleanliness in whomever He touches: the blind, the lame, lepers, the woman with the flow of blood—even dead bodies. Jesus can touch the unclean, and rather than becoming unclean Himself, those He touches become clean (compare Lev 13 with Mark 1:40–42; Lev 21:16–23 with Mark 3:1–5; Lev 15:25–26 with Mark 5:25–34). Bathing, shaving, sprinkling blood and ashes, wearing certain clothes and eating only certain foods sufficed as a shadow of holiness until the one who casts the shadow came. Then the price of cleanliness for the unclean was paid once and for all by the blood of a certain Lamb, killed in a certain way, on a certain day, for the purpose of removing guilt and averting the wrath of God for sin forever. In her follow up to Psalms Volume 1: Songs along the Way, Kathleen Nielson offers detailed direction for studying the Psalms and “taking them in deeply.” Volume 2 offers 12 lessons in which Nielson pairs a primary and secondary psalm with similar themes; each lesson covers five aspects of study over as many days. Day one of each lesson leads us through a contextual study of the primary psalm, with relevant citations from both the Old and New Testaments. Day two focuses on the theme of the psalm, including personal and historical events addressed by the psalmist. Day three invites us to explore a broader picture—the themes and tone of surrounding psalms, how psalms were used in prayer and worship, the importance of structural elements—and to begin to apply their lessons. On day four, Nielson introduces the secondary psalm to examine areas of harmony and disagreement, parallelism and resolution of events or emotions. Day five is the day to “Take It In,” with reflections on the previous days’ study and encouragement to choose verses for memorization. With ample room to jot notes and reflections, this study sets forth a challenging but achievable method not only for studying the Psalms but also for appreciating their beauty and their message. “Who touched my garments?” Jesus’ voice rises over the chatter. A great hush falls over the crowd. Heads turn left and right, looking for the person in question. Slowly, one woman emerges from the multitude. Trembling, she comes forward and falls at Jesus’ feet. She begins to tell her story—that she has been bleeding for 12 years, suffering despite the efforts of many physicians. In vain, she had spent all she had, but the condition had only worsened. “I heard the reports about you,” she says—her knees sunk into the dirt, the crowd on their feet around her. “I remember saying, ‘If I touch even his garments, I will be made well,’ and that is what happened.” Many of us know this story from the Gospels. We see this picture of Christ’s grace, mercy and restorative power in Mark 5:25–34. But while inspiring and thought-provoking on its own, the account is missing something for the average reader: the historical and literary context found in the book of Leviticus. Leviticus is a book full of laws, standards and rituals that, for the most part, we no longer follow. The laws defined Israel as a holy people, set apart for God. They also established ritual practices that narrowed the gap between God’s holiness and their uncleanliness. Today, we don’t consider issues of ceremonial cleanliness and ritual purity. But in Jesus’ time, these matters held great importance. If a woman has a discharge of blood for many days, not at the time of her impurity, or if she has a discharge beyond the time of her impurity, all the days of the discharge she shall continue in uncleanness; as in the days of her impurity, she shall be unclean. Every bed on which she lies during all the days of her discharge shall be treated as the bed of her impurity; and everything on which she sits shall be unclean, as in the uncleanness of her impurity. For 12 years, people had avoided touching this woman so they could stay clean and maintain ritual purity. Inanimate objects she touched were deemed unclean. Even more tragic, according to the laws in Leviticus, she was ceremonially unfit to be in God’s presence. She would not be allowed to worship in the temple, and anyone who came in contact with her was banished until evening (Lev 15:19–27). Her physical condition prevented her from being part of God’s holy people. For this woman, the law was insufficient to bridge the gap between her and God; ritual purity was impossible. According to Leviticus, the act of touching someone else’s garments spreads uncleanliness to the wearer. Yet the woman’s faith in Jesus changes everything. Instead of her making Jesus unclean, He makes her clean—not on the basis of ritual purity, but on the basis of her faith in Him: “Daughter, your faith has made you well; go in peace, and be healed of your affliction” (Mark 5:34). In this moment, the Gospel of Mark shows us that Jesus is ushering in a new era. If we have faith in Him, no ailment, condition or stigma can keep us from communion with God. The context of Leviticus is a great reminder of who Jesus is and what He has done for us. Biblical references are from the New King James Version (NKJV). This student’s sentiments mirror the unfortunate plight facing Leviticus. Appearing far too early in the canon, it’s like kryptonite for Christians who want to read the Bible cover to cover—quickly quelling the excitement of Genesis and Exodus. With its obscure prescriptions and proscriptions, Leviticus has come to epitomize the insignificance of the Old Testament for many Christians. After all, what relevance does Leviticus, with its antiquated laws and focus on sacrifice, have for Christians given that Jesus has fulfilled the law (Matt 5:17)? If you read people passages from the divine books that are good and clear, they will hear them with great joy. … But provide someone a reading from Leviticus, and at once the listener will gag and push it away as if it were some bizarre food. He came, after all, to learn how to honor God, to take in the teachings that concern justice and piety. But instead he is now hearing about the ritual of burnt sacrifices! Christians’ affection for Leviticus faded quickly—and we still feel the effects of that disenchantment. Yet Leviticus is not about archaic ritual and odd dietary taboos, or even sexual purity and appropriate sacrifice. Instead, it’s about the dynamic between God and people. Leviticus is about covenant—living in right relationship with God. Or to use the book’s own words, it’s about the statment: “You shall be holy, for I the Lord your God am holy” (Lev 19:2). Leviticus is part of the Torah, the first five books of the Bible. The word “Torah,” often translated as “law,” actually means “teaching.” The Torah provides the formative instruction for how ancient Israel was to relate to God. Joseph Blenkinsopp has pointed out that in the Torah, Leviticus is central not only figuratively but also literally, occupying the central panel of that group of five. This placement is not mere happenstance; the priests responsible for writing and compiling Leviticus were likely those who arranged the Pentateuch. Leviticus is meant to be read in concert with the Pentateuch as a whole, not in isolation. That Leviticus is intimately tied to covenant becomes evident in its narrative setting. From Exodus 19 to Numbers 10, Israel is encamped at the base of Mount Sinai. Mount Sinai was the location of that formative event in Israel’s memory that constituted their identity as a people in relationship with God. Leviticus, then, is not addressed only to priests and religious specialists, but to the entire nation of Israel gathered at the base of Sinai. The focus on covenant is perhaps most clear in Leviticus 26, where the word “covenant” (berit, ברית) occurs eight times—double its occurrences elsewhere in the book. God speaks of “maintain[ing] my covenant” (26:9), relating a series of blessings and curses tied to Israel’s covenantal obedience or disobedience. Therefore, with its focus on purity, sacrifice and dietary taboos, Leviticus shouldn’t be regarded as a legalistic killjoy, but as an attempt to preserve the purity—and thus well-being—of the covenant community. Holiness isn’t an intrinsic quality we can possess of our own accord (see Lev 19:2). We are holy on account of our relationship with God. Holiness is a quality of God that cannot be shared, only imitated. 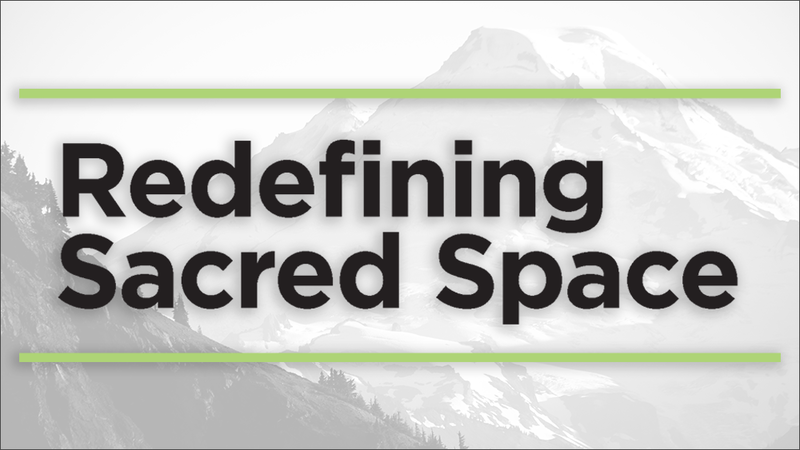 It involves separateness, and this is precisely the type of community ancient Israel was called to be: a holy people, a priestly nation, a witness to the world of the holiness of God. Leviticus finds its greatest relevance for Christian theology in the sacrifices that needed to be continually offered to God to maintain covenant relationship. Without reference to sacrifice in Leviticus, we cannot fully comprehend the passion of Jesus. Hebrews 9 appeals to the institution of sacrifice and understands Jesus as both the high priest and the sacrificial offering that restores right relationship to God. The well-worn Christian belief that we are “saved by the blood of the lamb” has its roots in Leviticus—the book that so many have deemed unbefitting of the stuff of faith. Christ’s passion, refracted through Leviticus, sets out to achieve the same ends for us now as it did for ancient Israel: restoring the covenant relationship between a holy God and His people. Infographic statistics are based on U.S. demographics. Rather than labeling this a contradiction, we might examine our own perceptions of Old Testament sacrifices—specifically, the sin offering. “Sin offering” is a translation of the Hebrew term chatta’t (חטאת), which has the basic meaning of “to miss the mark” or “to fall short.” In using a traditional, familiar rendering, many English Bible translations cause us to misunderstand this sacrifice. The label “sin offering” assumes that the goal of this sacrifice was forgiveness for moral failures or violations—sins as we think of them. Leviticus reveals this is not the case. The sin offering was used in cases where people suffered from a bodily discharge (Lev 15), at the dedication of a new altar (Lev 8), or when a Nazirite completes a vow of abstinence (Lev 12). Depending on the individual’s status in the community—whether priest or commoner—the blood of the offering was either used outside or inside the sanctuary. When the sin offering was for a priest, the blood was brought inside the sanctuary. This signified the priest’s undeserved but now acceptable access to the holy ground of the sanctuary area. On the Day of Atonement (Lev 16), the blood of the sin offering was brought before the mercy seat (the golden cover for the ark of the covenant) within the holy of holies—not because the high priest had committed worse sins than anyone else, but because he needed closer access to the divine presence on that day. The sin offering was about purification for access to God. The verb translated “forgive” (salach, סלח) essentially means “to be positively disposed toward.” In the context of purification, God now approves of the person or object entering His presence. While the verb may be used elsewhere to address moral guilt (e.g., Psa 25:11), when it comes to the Levitical sacrifice itself, the point was not absolution, but acceptability for entering God’s presence. Language of grace is sprinkled throughout Christian culture. I remember the Christian band Newsboys singing that grace is “getting what you don’t deserve.” Also, the Sunday school acronym I learned years ago still sticks with me: GRACE is God’s Riches At Christ’s Expense. Both definitions convey the idea that grace is God’s free gift to those who believe. Paul would certainly agree with the concept that God’s grace cannot be earned (Eph 2:8–9). But I think he would be disappointed to know that many understand his use of “grace” to mean only a “free gift of salvation”—the spiritual equivalent of a “get out of jail free” card. Paul also had other meanings in mind. If we study 1–2 Thessalonians, we’ll notice that each letter begins and ends with words of grace from Paul. “Grace and peace to you” (1 Thess 1:1). “Grace and peace to you from God our Father and the Lord Jesus Christ” (2 Thess 1:2). “The grace of our Lord Jesus Christ be with you” (1 Thess 5:28). “The grace of our Lord Jesus Christ be with all of you” (2 Thess 3:18). Paul tends to use “grace” language to bookend his letters—it’s the bread of the theological sandwich he sends to the churches he established. Certainly “grace” is one of Paul’s favorite words. But today, we tend to define and understand Paul’s use of the word “grace,” the Greek word χάρις (charis), in a way that is, well, small. Exploring how Paul uses the term charis will help us understand its use in 1–2 Thessalonians and throughout his other letters. When Paul uses charis, he communicates God’s gift to believers, but that gift is not only the reward of “heaven” or “forgiveness.” The essence of charis, for Paul, can be summarized in three ideas: God’s presence, calling and power. Together, these three concepts convey Paul’s definition of being saved by grace: Salvation is not only about a place—heaven—but about our relationship with God, moving from estrangement and hostility toward reconciliation and adoration. The salvation we will find in heaven is an experience of the full presence of God, available only through His charis. The grace of God’s presence. In Romans 5:1–2, Paul states that Christ opened a way for believers to have peace with God; the charis of God grants believers unhindered access to Him through our mediator, Jesus Christ. Paul’s distinctive language—Christians “stand in grace”—describes this relationship as if it were located in the very presence of God (Rom 5:2). For Paul, peace flows from the joy of being near the living God through the work of Christ. The grace of God’s calling. God freely gives His charis, but that does not mean believers are free to live however we choose. God’s gift comes with a calling. Paul referred to his own charis-calling on numerous occasions. “[God] set me apart from birth and called me by his grace” (Gal 1:15). “According to the grace of God given to me, like a skilled master-builder I laid a foundation” (1 Cor 3:10). “I have written more boldly to you on some points so as to remind you, because of the grace given to me by God to be a minister of Christ Jesus to the Gentiles” (Rom 15:15–16). “You have heard of the stewardship of God’s grace that was given to me for you” (Eph 3:2). Paul applies this idea to all believers: Each Christian has a charis-calling. He chastises the Galatians, for example, for “quickly deserting the one who called you by the grace of Christ” and turning instead to a false teaching (Gal 1:6). On the other hand, he commends the churches of Macedonia, who were given the “grace of God” to sacrificially give money to help others (2 Cor 8:1). Such examples illustrate that God does not give grace simply to save us, but to transform us from self-destructive sinners to believers—whole and refashioned to fulfill our God-given purposes according to His calling. The grace of God’s power. “To this end we always pray for you, asking that our God will make you worthy of his call and will fulfill by his power every good resolve and work of faith, so that the name of our Jesus may be glorified in you, and you in him, according to the grace of our God and Lord Jesus Christ” (2 Thess 1:11–12 NRSV). Paul himself was called to be an apostle to the Gentiles (non-Jewish people)—a task accompanied by opposition and suffering (see Acts 9:16). When the persecution came to a boiling point (possibly the “thorn in the flesh” Paul refers to in 2 Cor 12:7), he prayed for this problem to go away. Instead, God answered, “My charis is enough for you, for my power is made perfect in weakness” (2 Cor 12:9). God-given charis is the means by which we are to live out our callings in the world. In Romans, Paul refers to various spiritual gifts (charismata) given to us through God’s charis. In 1 Corinthians, Paul tells believers in that city how much he thanks God for the grace that was given to them—specifically, how they were made rich with knowledge and did not lack any spiritual gift (1 Cor 1:4–7). Charis is a gift, but one that comes with great responsibility. Understanding the depth and richness of God’s charis as described by Paul should invigorate our faith and help us dwell on those “grace” passages we tend to gloss over. 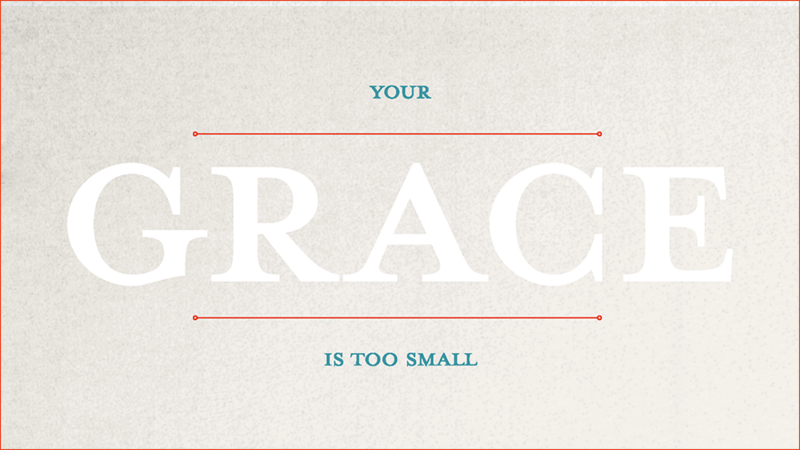 Don’t let your grace be small. Study the revitalizing, relational charis language of Paul’s letters that calls us to live through God’s gracious gift of His presence, calling and power through Jesus Christ. Biblical references are from New English Translation (NET). Zeal can be treacherous if it’s misplaced. It may lead us to set and strictly follow standards that have nothing to do with God’s work—standards that make us feel like good people but that can devastate our lives and the lives of others. Paul addresses the misplaced zeal of many Jewish people in his letter to the Roman church: “Brothers, the desire of my heart and my prayer to God on behalf of them is for their salvation. For I testify about them that they have a zeal for God, but not according to knowledge. For ignoring the righteousness of God, and seeking to establish their own, they did not subject themselves to the righteousness of God. For Christ is the end of the law for righteousness to everyone who believes” (Rom 10:1–4). Many Jewish people who had rejected the Messiah were attempting to make themselves right with God by keeping the OT law. In doing so, they missed God by seeking their own righteousness. Paul tells the Romans that these Jewish people ignored the “righteousness of God”—God’s work of salvation in Jesus Christ. It’s only by submitting to God that they could be “right with God” through Jesus Christ. This lesson isn’t applicable only to the Jewish people and their relationship to the law. Jesus restored relationship with God when we couldn’t. We only have to believe in Him. Yet a dangerous zeal can still trip us up. If we rest in anything except Christ’s work and try to reach God by being good people, we are sure to miss Him. And in the process, we can become stumbling blocks in the lives of others. Are you trying to attain righteousness through your own effort? How does your life reflect humility because of Christ’s work in you? How can you lovingly point others toward the righteousness of God, found only through His son, Jesus Christ? What are you trying to attain? How can you focus your hope and the hope of others on Christ and the righteousness He has attained for you?